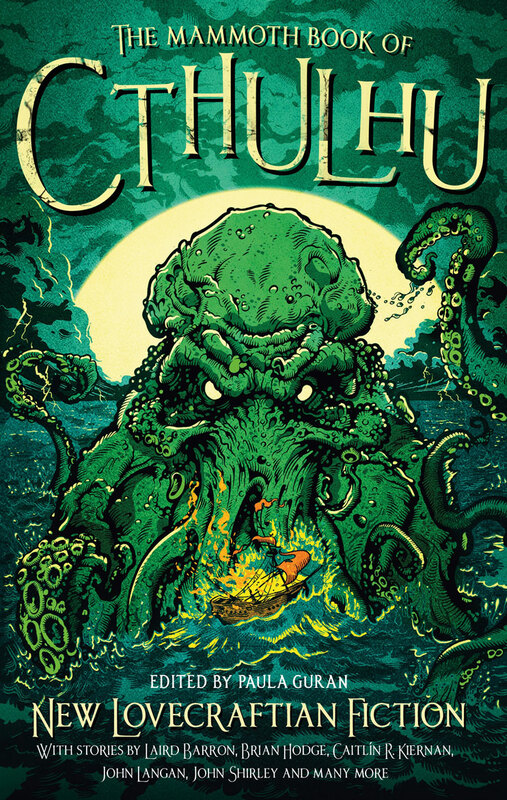 Those Who Watch, by Ruthanna Emrys, appeared in The Mammoth Book of Cthulhu (edited by Paula Guran), published May 24, 2016 by Running Press and was reprinted by Tor.com on the same day. Pro: This is the story of how Elaine earned her place at the library. She's marked by a book, menaced by the statues, and pressured by the lightbeam, but by the end, she's ready to stand up to them. Given the nature of the anthology it's collected in, we're not surprised to find copious Lovecraft references, but it's particularly cute that while Lovecraft's characters often suffer from a "mental instability" that grows worse and drags them down, Elaine actually uses her panic attacks to escape from one of the entities. It probably means something that Crique Foudre is French for "Lightening Creek," but I couldn't figure out what. Con: The biggest problem is that after 7,000 words, we get very little payoff. It feels like we've read the introduction to a novel, not a complete story. One unbelievable bit: after an angry book tattooes her arm, Elaine should demand an explanation from Sherise. It's hard to believe she doesn't.